Gay fan favourite character Mr Terrific has made a surprise exit from Arrow, but another character just confirmed his sexuality on-screen. Echo Kellum had played gay hero Curtis Holt/Mr Terrific, one of several out-and-proud figures within the Arrow‘s TV superhero universe, since 2015. However, the character made a surprise exit from the show during Monday’s (February 11) Arrow episode, which saw his tech genius alter ego Curtis Holt decide to leave Star City and take up a job offer in Washington, DC. However, the actor clarified that he will remain open to guest appearances in future. He added: “What I will say, this isn’t the end of Curtis. I’ll definitely come back as much as they want me back, and visit and guest-star and whatnot. The show won’t be going without LGBT+ representation—as the same episode that wrote out Mr Terrific saw another major character confirm his sexuality. 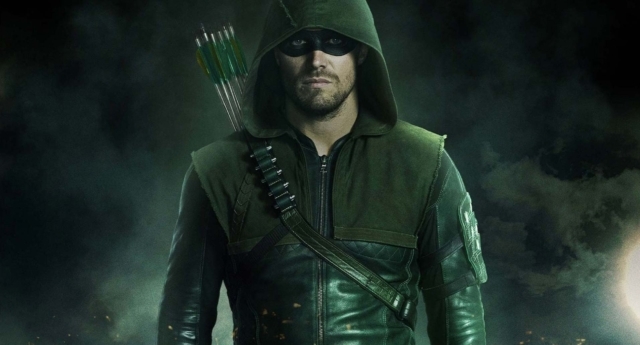 The show had repeatedly hinted at the sexuality of main character Oliver Queen’s grown-up son William Clayton, played by Ben Lewis. The character previously referenced relationships with men on several occasions, but directly confirmed he is gay on-screen in the episode. Many fans missed the initial revelation that the character had dated men in an October 2018 episode. The various superhero TV shows that share a universe with Arrow, known collectively as the Arrowverse, have earned praise for featuring a large number of LGBT+ characters. The show has previously featured bisexual superhero White Canary (Caity Lotz) and assassin Nyssa al Ghul (Katrina Law). Animated Arrowverse series The Ray also featured a gay lead, played by Russell Tovey, while Ruby Rose is expected to join the roster of shows within the superhero universe as lesbian superhero Batwoman. A pilot for a solo Batwoman show was picked up by The CW in January, after the character made her Arrow debut as part of a crossover event.